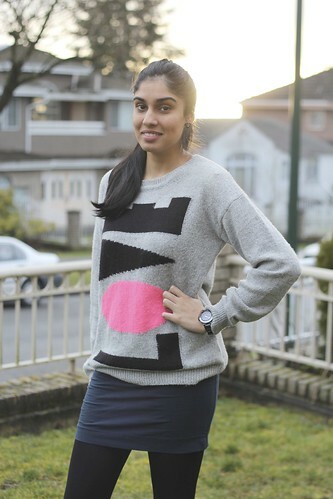 I love wearing big comfy sweaters and this one is extremely comfy, soft, and fuzzy! 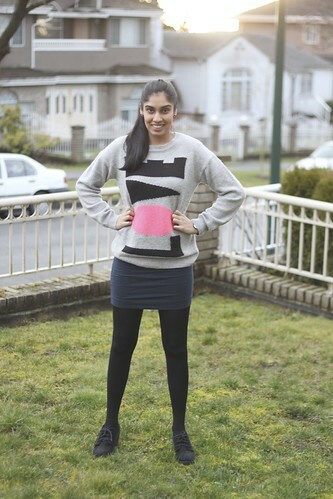 Now, since this sweater was quite loose-fitting I decided that pairing it with a tight skirt would look nice. 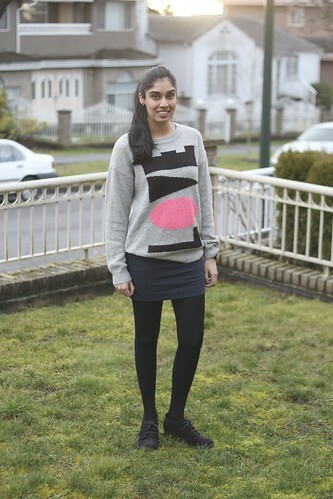 This outfit still keeps me warm in these colder months and looks cute at the same time. 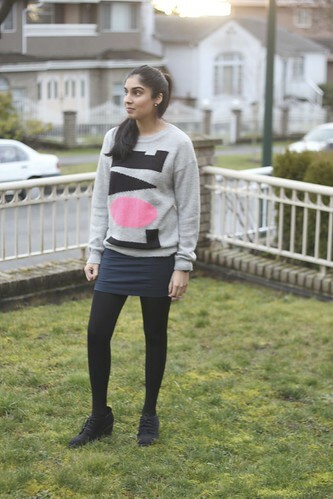 I love the little pop of neon pink in the sweater as well! such a pretty combination ! the sweater looks very stylish too . love your look, very comfy. Great watch !! It is beautiful and sooo cute! Love the look of a loose sweater, you look great! I love this outfit! It inspires me a lot because I own the same skirt from H&M. Ha! I love, love, love your sweater!!! I like big, comfy sweaters too. They are great for this type of weather. Great sweater! Very cute look! Now following! 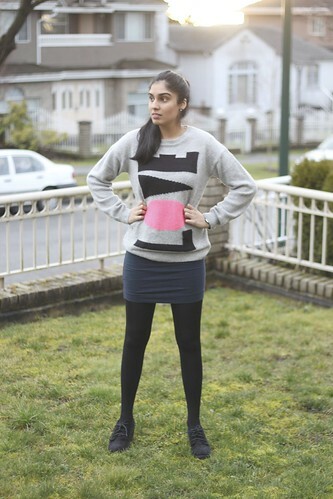 This sweater is so cozy and fun! And those shoes are very chic. They must go with a ton!